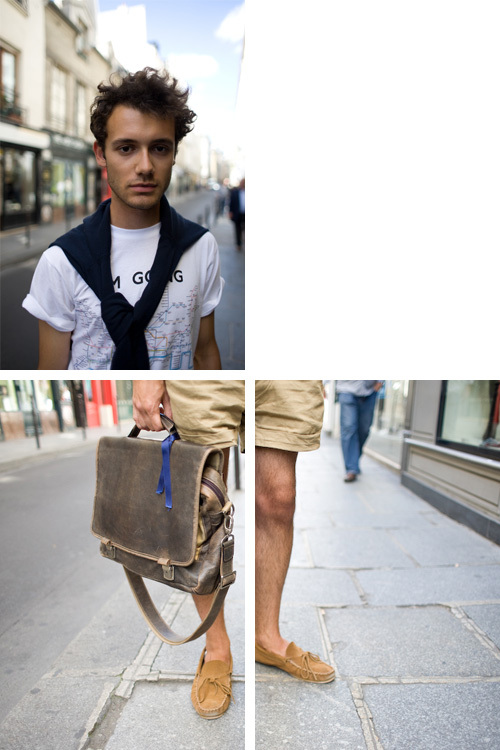 You are currently browsing the tag archive for the ‘brown leather bag’ tag. One word, James Dean, oh that was 2 words. James Dean! The jacket? The boots? Maybe the hair? 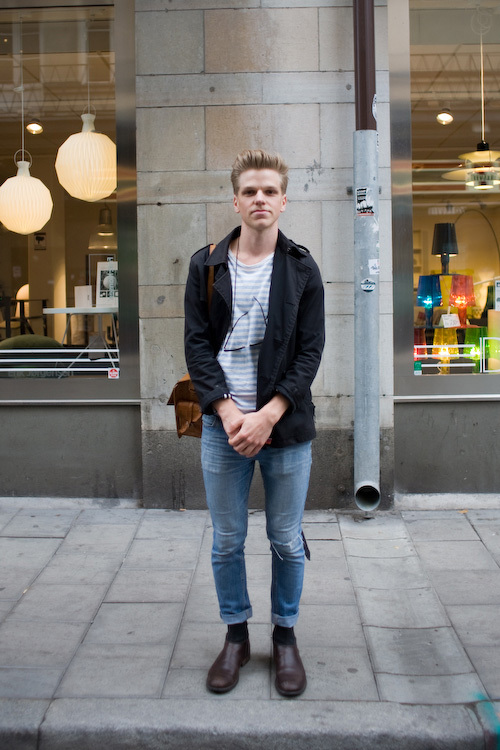 I’m not sure, but retro American look is definitely the way to go for guys this autumn, yep, my executive decision. Do it! It’s an order. Let’s not forget the French men, especially the young men, they all dress just as well as the girls. Their sense of style and fashion highly developed, sartorial and always spot on. 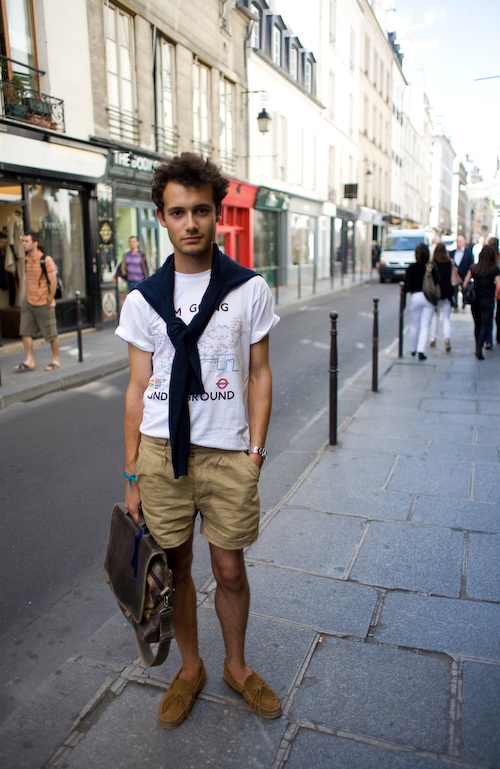 I saw boys as young as 14 or 15 dressed immaculately and rarely if ever I saw a male sloppily dressed, I guess that is simply a French thing. 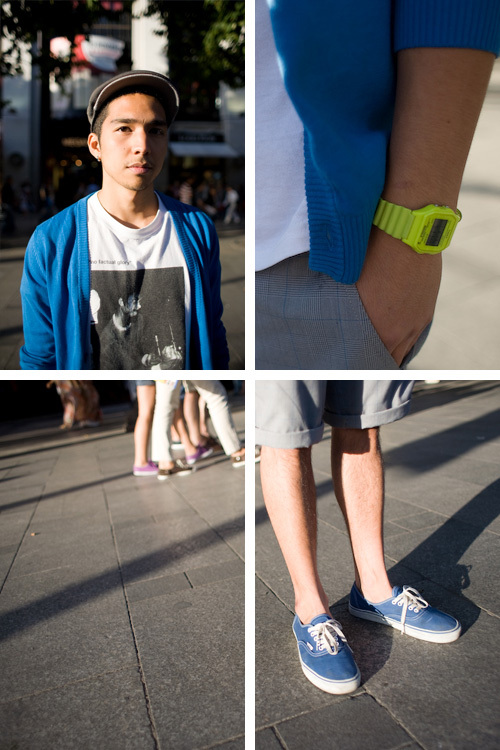 Describe your style: Simple, classic, with some brands and some vintage and borrowed clothes. Favourite fashion label: Lanvin, Acne, everything. Favourite clothing store: Gap, Gallery Lafayettes. Funny how only now I noticed that the elements of both outfits are almost identical, white tshirt with print, cardigan, shorts and casual shoes. 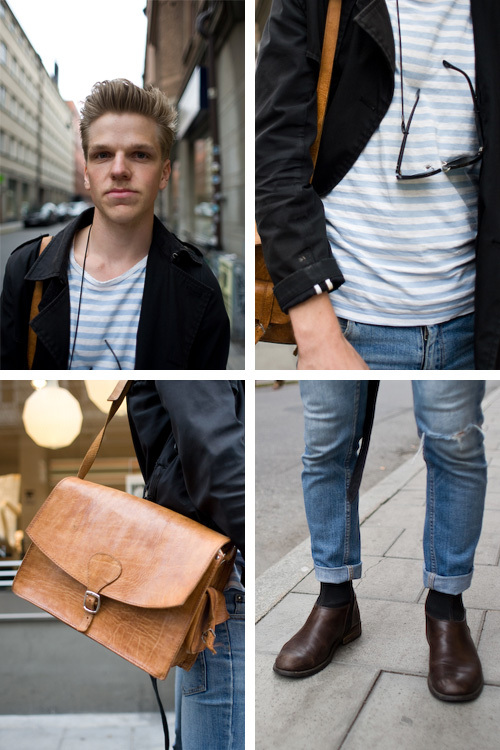 Well, this one has got to be a staple summer outfit in any man’s wardrobe, big thumbs up from me!